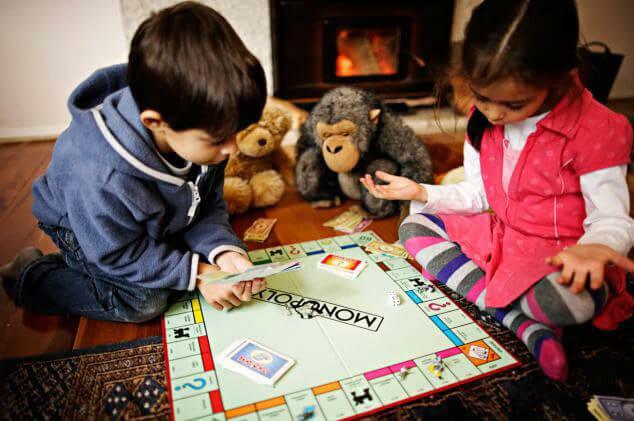 You probably already play card and board games with the children in your care, to some degree. It’s a fun, shared activity to break up a day stuck indoors during bad weather, or to pass the torturous 23 minutes between ordering food in a restaurant and its arrival. It’s better than TV, more interactive than reading. But games aren’t just entertaining, they’re developmentally beneficial, an educational lesson disguised in playtime’s clothing. My younger daughter is 5 years old, so some games require her to be on a team with someone older, often relegated to throwing dice and counting moves. But we also adapt games for her to play. She’s gifted at charades and Pictionary, she just needs to be whispered the clue, given that she’s preliterate. My daughter is amiable when she loses, as a result of experiencing a good deal of it. I’m quick to conclude any game, no matter who wins, with something like, “That was close! And so much fun!” Pointing out some exciting part or some smart move they made or some little lesson for future wins. We shake hands and move on. Winning and losing is just part of games — and life — whether because of luck or because of a skill still developing (in part, by losing). If she can manage loss now, when the stakes are low, it builds up resilience for when the stakes are high.